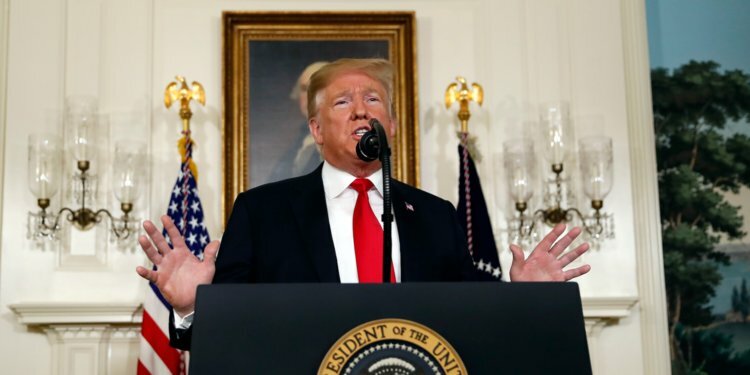 Agency, 20 January : US President Donald Trump has set out new plans on his Mexican wall project to try to end a partial government shutdown lasting more than four weeks. Democrats have refused to fund it and ahead of the speech had already rejected the expected concessions. The shutdown, the longest in history, has affected 800,000 federal workers. Speaking from the White House, Mr Trump offered two compromises to break what he called the “logjam” over the shutdown. The first concerns about 700,000 Dreamers, who entered the United States with their parents illegally. The Dreamers are currently protected from deportation under a programme that allows them to work but not get citizenship. Mr Trump has been trying to rescind the programme. Mr Trump said he would extend protection for Dreamers for another three years, allowing them access to work permits. He also said he would extend for three years the visas for Temporary Protection Status holders. More than 300,000 people from countries affected by war or disasters are allowed to live and work in the US under TPS, another system Mr Trump has opposed. But even before he made his speech, Democrats had rejected these policies.